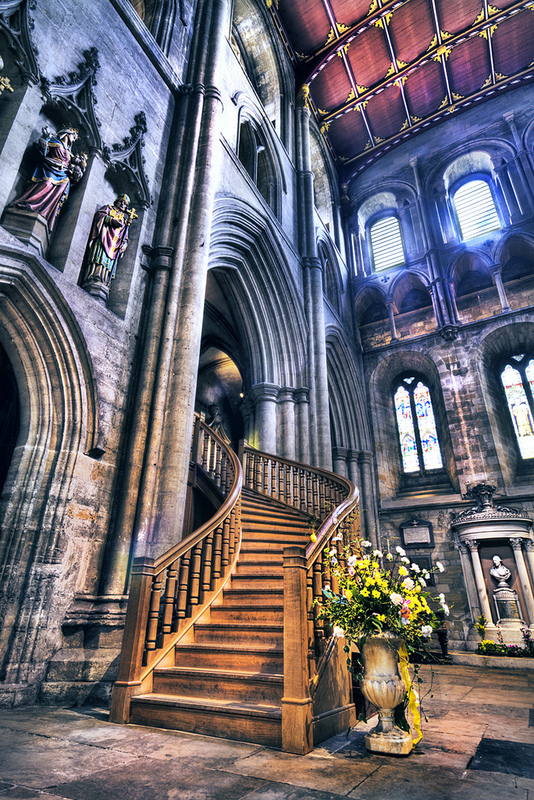 Ripon Cathedral is in the centre of the small city of Ripon and is within easy walking distance from the market square, bus station and Ripon Museums. There are lots of local shops and places to eat within a short walk. Our local Tourist Information office is in the Town Hall on Market Square. On Thursdays there is an open air market in Ripon’s Market Square. Walk towards the public toilets and car park. The Cathedral is a short walk bearing right across the car park beside the bus station. You can often see our towers above the trees from the car park. Kirkgate is a delightful local road which links the Cathedral with Ripon’s market square. Walk down the hill at the corner closest to the phone boxes, with the Skipton Building Society on the corner. Bear left and the Cathedral will soon be revealed. The City of Ripon is in Yorkshire. If you agree, type YES into the form field below.